Winnie Harlow walks the runway during the Moschino x H&M - Runway at Pier 36 on October 24, 2018 in New York City. A silver chain necklace rounded out Winnie Harlow's sparkling look. 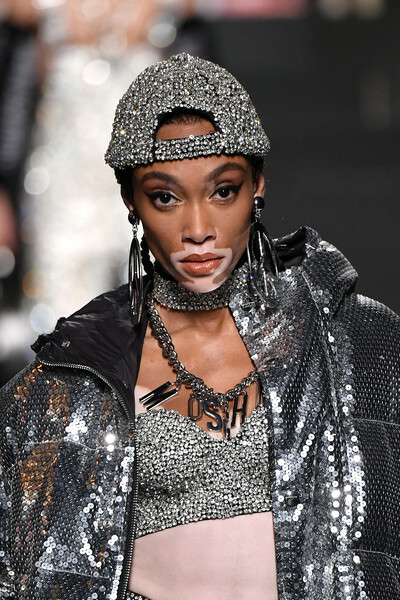 Winnie Harlow proved there's no such thing as too much silver when she wore this baseball cap, jacket, and bustier combo at the Moschino x H&M show.